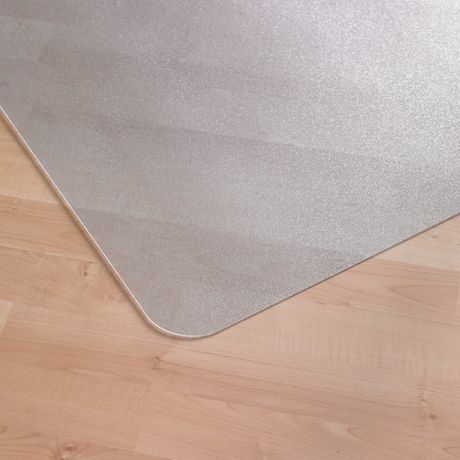 Cleartex AdvantageMat PVC Chair Mat for hard floors provides a convenient solution for protecting the floor in your home or office against scratches and dents. This chair mat with lip comes with an extended apron for your feet. With a special Floortex PVC formulation, the Cleartex AdvantageMat PVC Chair Mat offers durability and resilience. 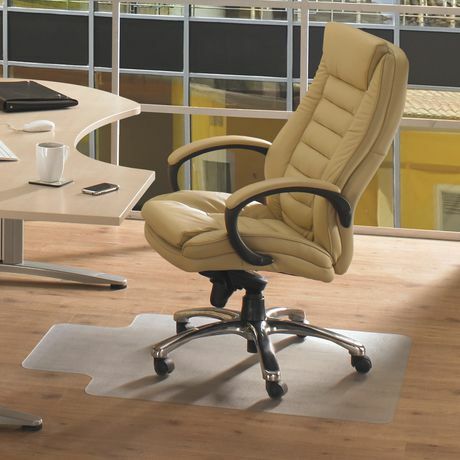 The rectangular chair mat with smooth back provides an even surface, which allows your chair to move easily and freely. Appropriate for wooden, laminated, carpeted, vinyl, and many other kinds of flooring, the chair mat with lip keeps your floor safe from impending damage due to repetitive chair movement. This Cleartex AdvantageMat Chair Mat For Hard Floor measures 36" long x 48" wide.